Worldwide icon-chevron-right North America icon-chevron-right United States icon-chevron-right California icon-chevron-right Los Angeles icon-chevron-right Steve McQueen interview: "This is not a black movie or a white movie"
The 1840s-set real-life historical drama 12 Years a Slave stars Chiwetel Ejiofor as Solomon Northup, an African-American man kidnapped and sold into slavery in the South. 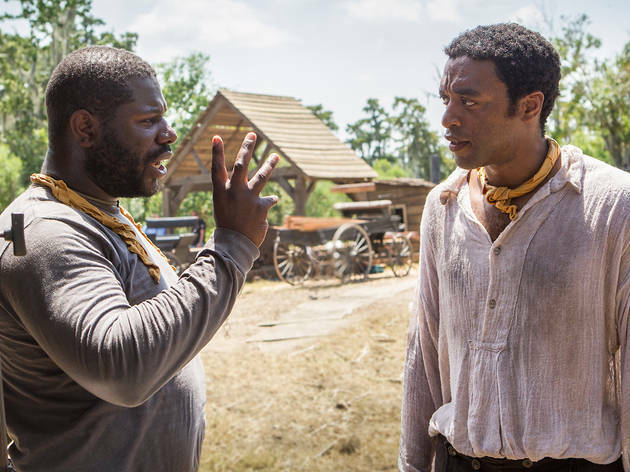 It’s 44-year-old British director Steve McQueen’s third feature film after Hunger and Shame, and it's his first feature to receive any Oscar nominations. McQueen's film is currently poised to win big at the Academy Awards on March 2, and so a few hours after hearing of the nominations we tracked him down in Los Angeles, where he was staying following the Golden Globe awards earlier this week. Congratulations on your film’s nine Oscar nominations. You must be over the moon. I’m so happy. Really humbled. It’s such a honour. And I’m so happy for the cast and their nominations. In bed sleeping, in Los Angeles. But I thought: this might never happen again, so I got up and put the TV on. Then the phone started ringing. Yes they matter! Because people see the film. We didn’t have a lot of money for advertising, so it means people will look at the nominations and go and see the movie. I can’t tell you how helpful it is. People said 12 Years a Slave would be too brutal for audiences. But you’re number one at the box office in the UK. In London people have been queuing outside cinemas around the block to see it. People want stories. And the cinema is the best way to tell them. This is not a black movie or a white movie. 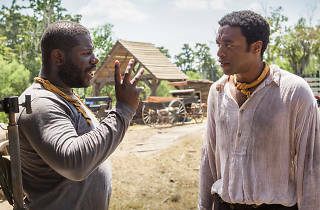 Why did you want to make a film about slavery? I just wanted to tell a story about slavery, and it was just one of those subject matters where I thought to myself: well, how do I approach this? I liked the idea of it starting with someone who is a free man, a man who is much like everyone watching the movie in the cinema – just a regular family guy, who is then dragged into slavery through a kidnapping. You thanked your partner Bianca at the Golden Globes ceremony when the film won the prize for best drama. Why? She’s the one who found the book. I had this idea that I wanted to make a movie about slavery, and Bianca said: “Why don’t you look into true accounts?” And she’s the one who unearthed this book 12 Years a Slave. It’s funny, I think if you want something so bad, you become a magnet. When I saw this story, it was identical to my original idea. Now everyone knows the name Solomon Northup. His book is on the bestseller lists. It’s sold more copies in the past six months than it did in 150 years. I’m very proud of that. You’re in a head-to-head race with American Hustle. Have you seen it? Yes, it’s a very good movie. David O Russell is a great filmmaker. Have you got a gut feeling who’ll win? I think we’ve all won right now. And not just the films nominated. It’s been a great year for black cinema, with The Butler and “Fruitvale Station”. Everyone has won. Can you tell us any more about the TV series you’re making about the black community in west London? I’m very passionate about that bit of history. It’s going to be from the late-1960s to 2009. The funny thing is, if you don’t do it, this history will be lost. And it’s such a rich history. Human rights in Britain. What the West Indian community has done is amazing. It has to be recognised. So we won’t be losing you to Hollywood just yet?